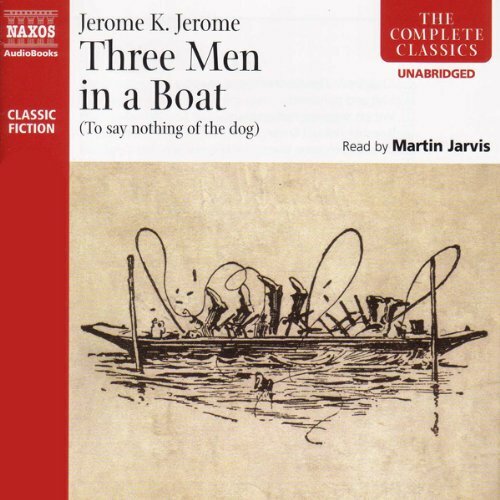 Three Men in a Boat (To Say Nothing of the Dog) was an instant success when it appeared in 1889, and, with its benign escapism, authorial discursions, and wonderful evocation of the late-Victorian clerking classes, it hilariously captured the spirit of its age. 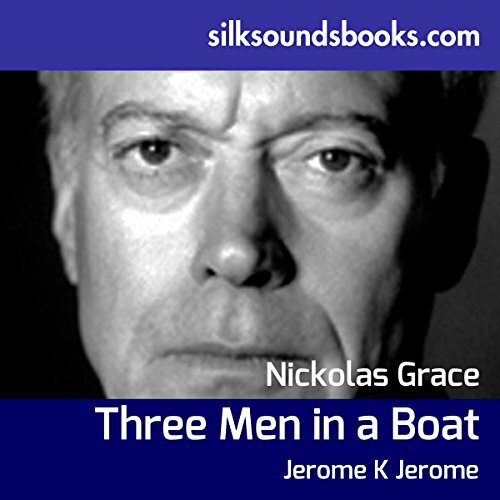 A witty account of three friends' boating adventure along the River Thames. Written in the 19th century, the humour is still accessible to a modern audience. 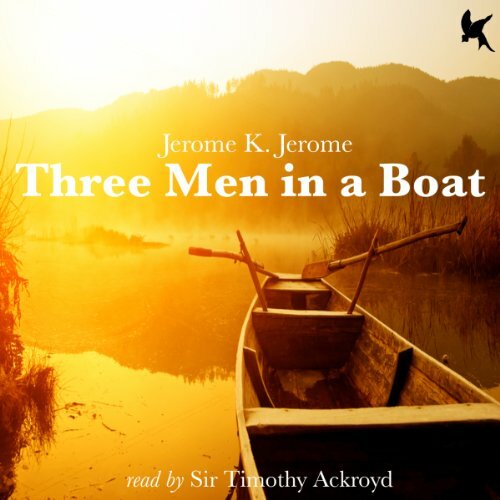 Read by leading celebrated British Actor, Sir Timothy Ackroyd. 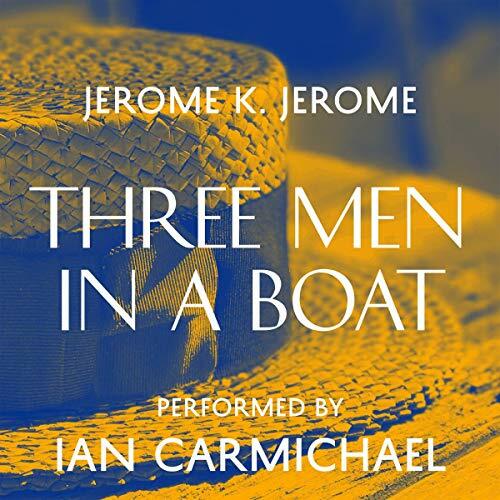 In this comedic masterpiece, three young men, increasingly given to thoughts of hypochondria, decide to embark on a journey along the river Thames. Confident that the fresh air and daily exercise will grant them immunity from a myriad of illnesses and diseases, they pack up their frying pans, toothbrushes, food and canine companion, Montmorency, and set off on an unexpected adventure. 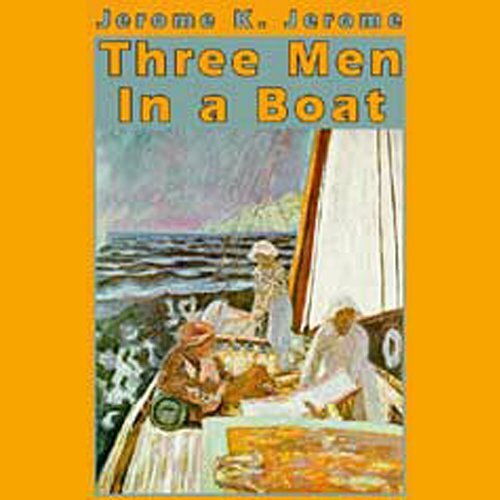 Three Men in a Boat was intended to be a serious travel guide. It failed dismally in this respect but succeeded in becoming an hilarious account of a boating holiday on the Thames between Kingston and Oxford. 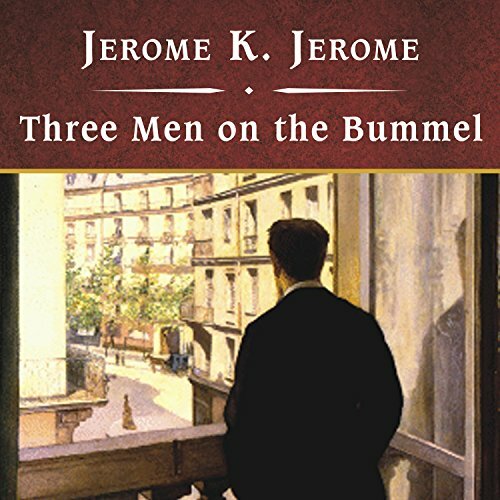 The three men were based on the author and two of his friends. The holiday was a typical boating holiday of its time, carried out on what was known as a Thames camping skiff. The dog, Montmorency, however, was entirely fictional, but, as Jerome remarked, 'had much of me in it'. 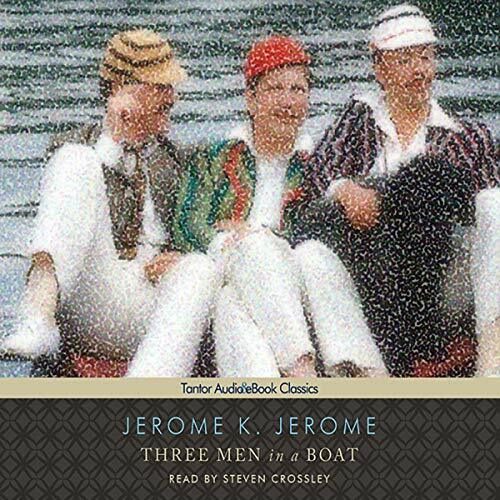 Three Men in a Boat by Jerome K. Jerome tells the story of three friends and their dog after they decide to take a boating trip along the Thames River. Taking a boat along the river was a popular way to spend a few days at the time, but most people who indulged in the activity probably didn't have as adventurous a time as J, George, Harris, and Montmorency the fox terrier when they came upon the perfect way (at least, it seems like this at the time) to spend their summer holidays. 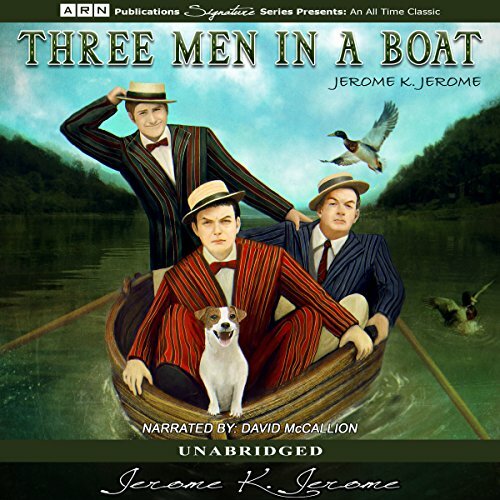 It could have been an idyllic, relaxing trip down the Thames, if George hadn't insisted on camping, if someone had remembered a can-opener, and if Harris had steered clear of those old men and their fishing lines. 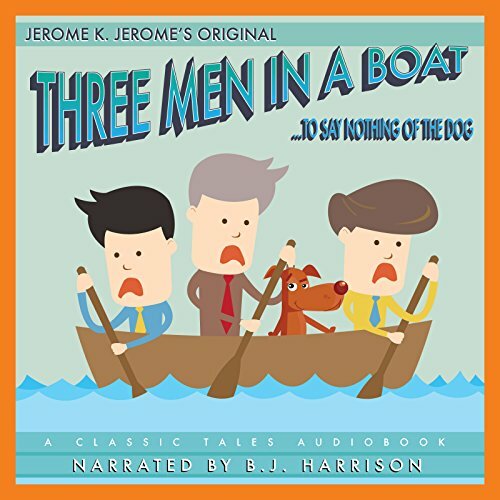 Join in the comedy of a mishap-filled boat trip with 3 buddies and their dog. The journey may not be a smooth one, but it is sure to be filled with hilarity. 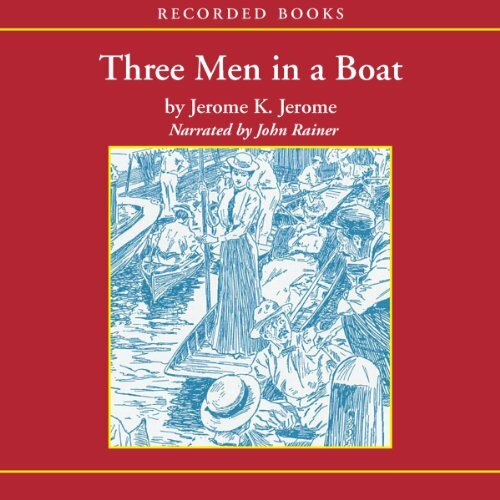 Even when the sailing is smooth, the stories never stop in Jerome K. Jerome's comic novel. Plaster fishes, dead water rats, near-death escapes, and many, many jocose anecdotes create a colorful narrative of holiday life on the river. For once three hypochondriacs self-diagnose themselves as "clearly overworked", the rest practically writes itself! An absolute gem of a book! George, Harris, and J. decide to take a cycling trip through the Black Forest - to be accomplished on a tandem plus one. Whether it is Harris's harrowing experience with a Hanoverian road-waterer or George's valiant attempt to buy a cushion for his aunt, their experiences are hilarious - - and they may even offer some important lessons to all who may be contemplating a cycling trip in the U.S. 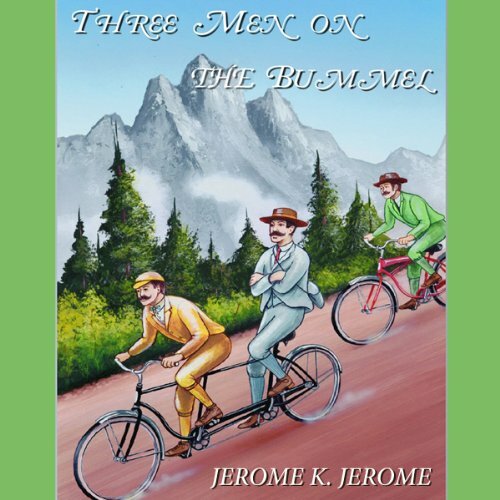 When three late-Victorian gentlemen escape from their claustrophobic suburban life to go on a cycling tour in the Black Forest of Germany, their trip turns into a comic expedition.